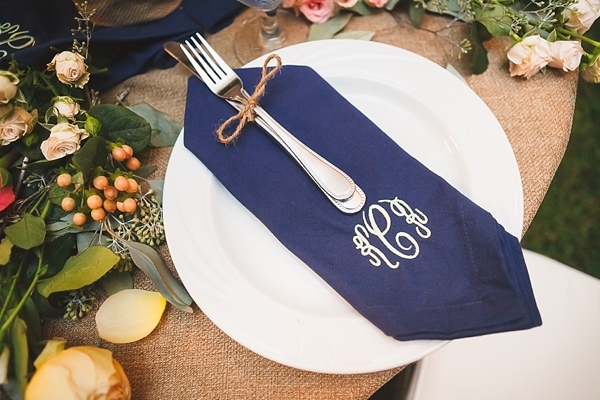 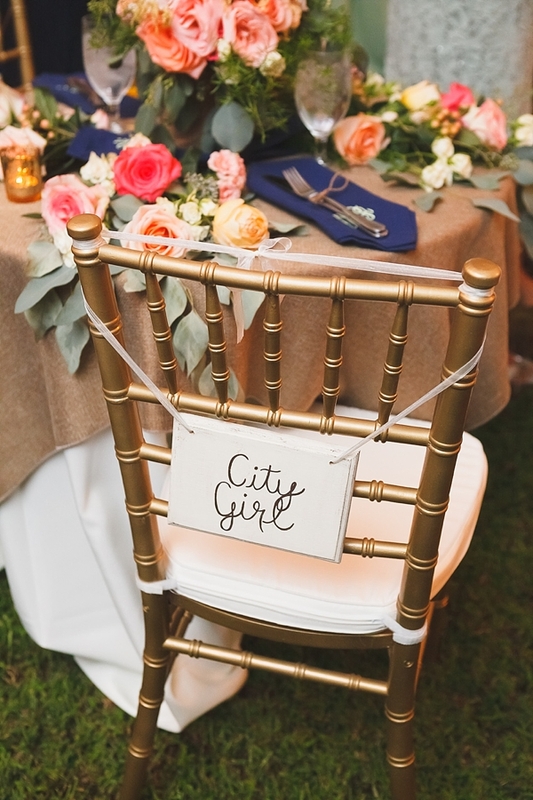 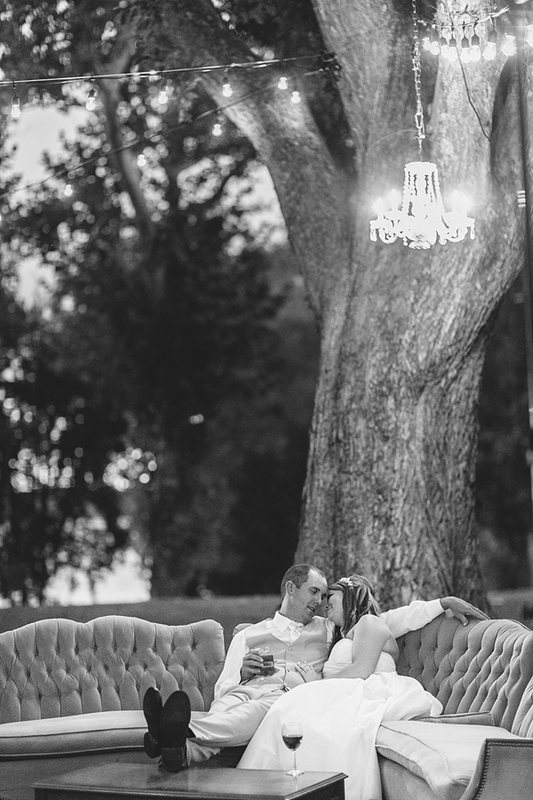 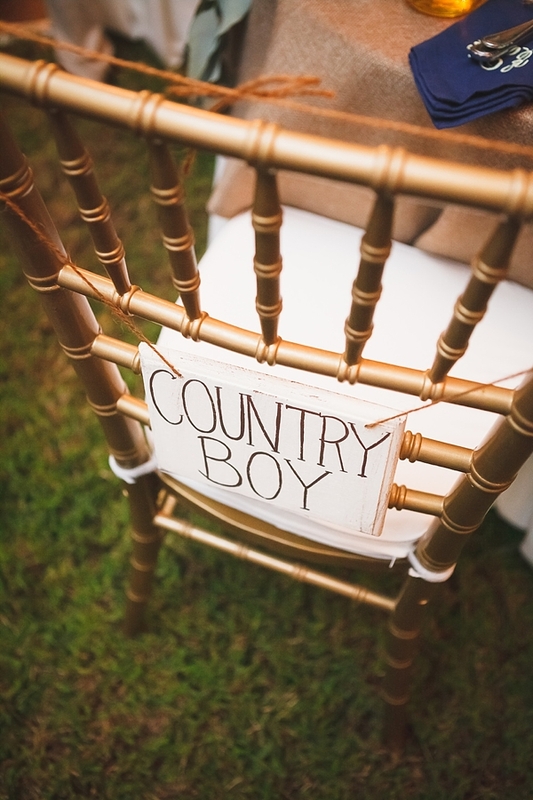 With the bride from Mechanicsville and the groom from King William County, there was no doubt that this rustic-lovin' duo would not have a gorgeous country chic celebration. 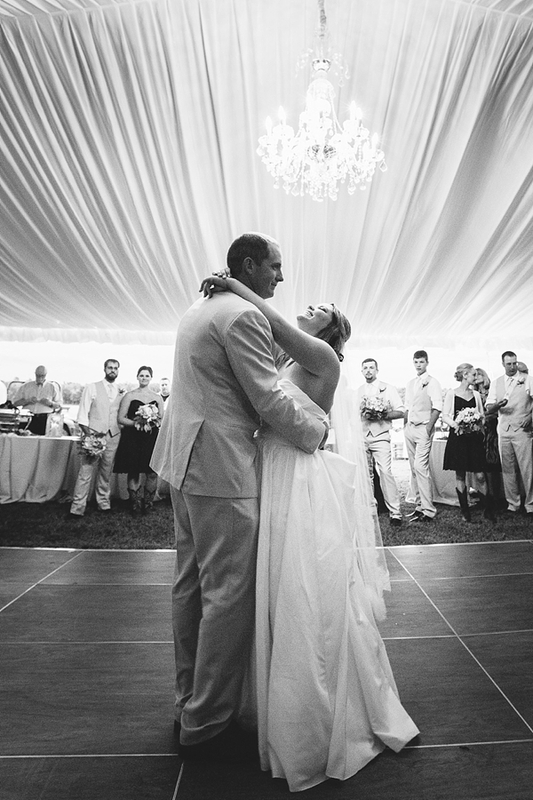 Kimberly and Richard met through mutual friends at a country concert, and after attending those friends' wedding in 2009, they became inseparable. 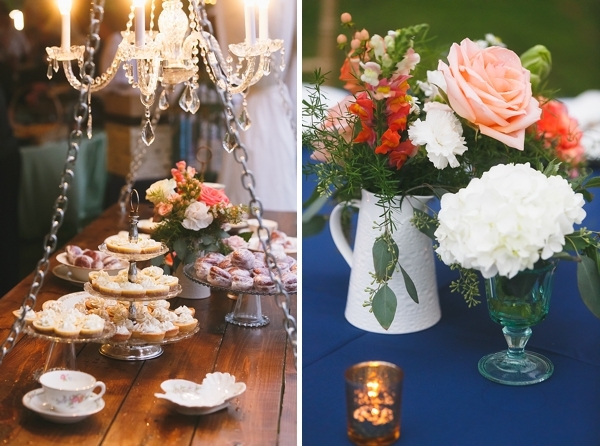 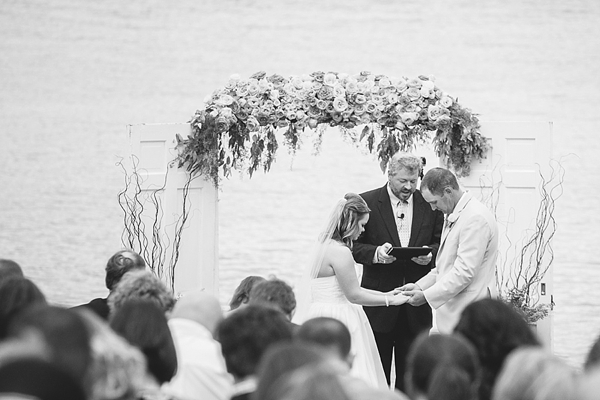 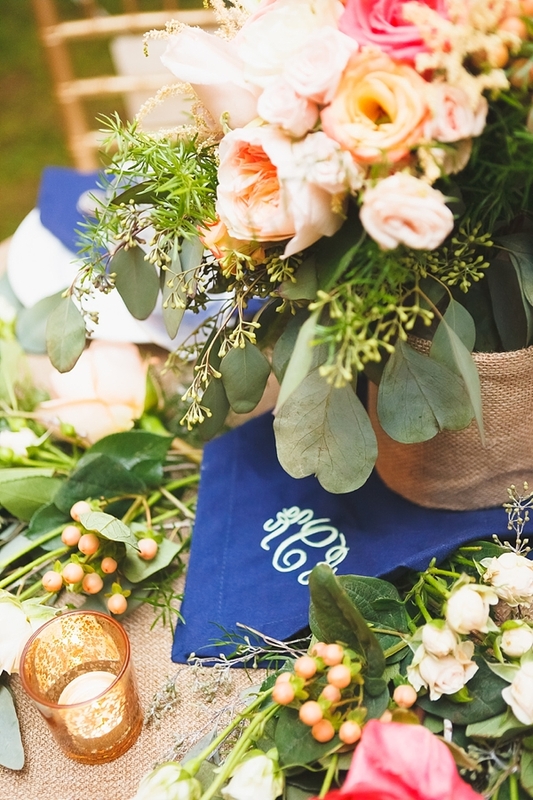 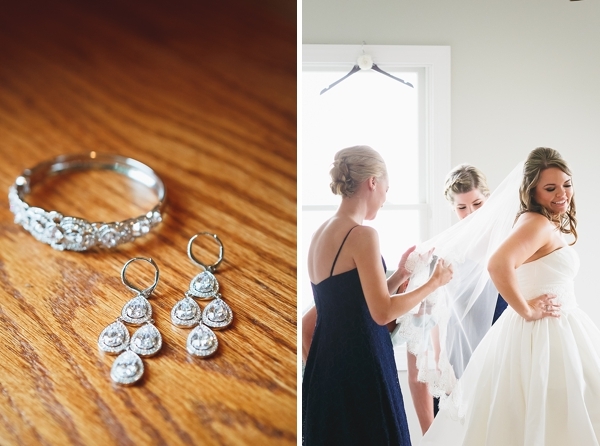 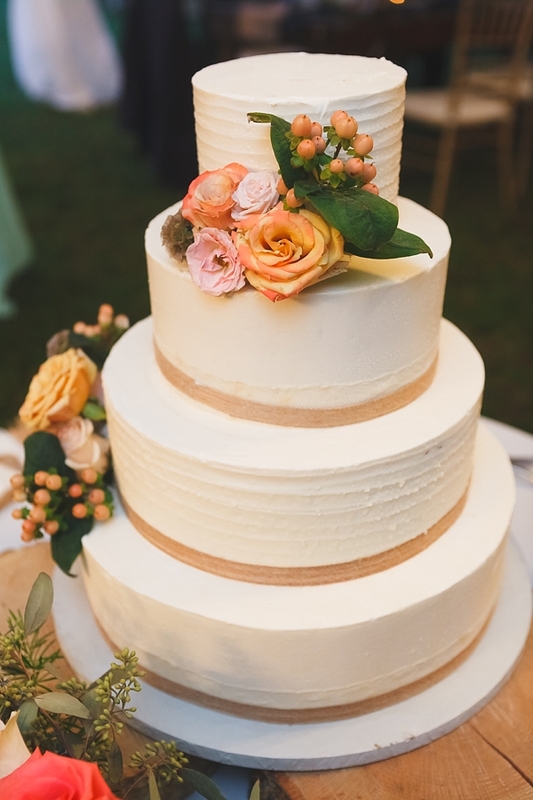 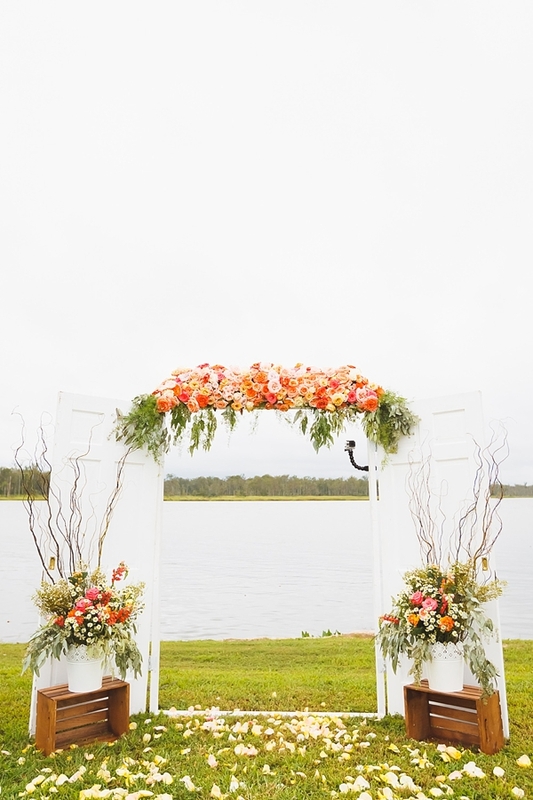 Their Richmond area wedding was held on a private property in West Point, Virginia. 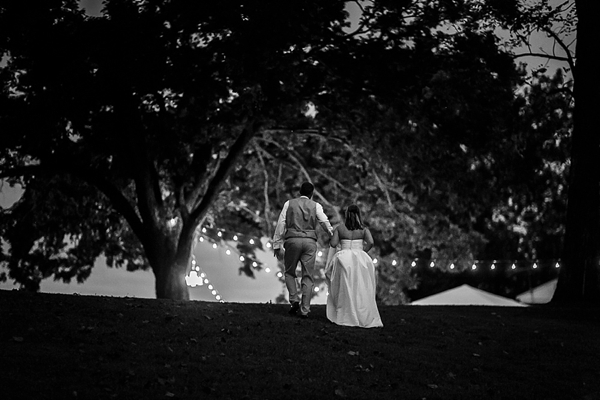 And like all beautiful homegrown stories, it's where the bride and groom live with all of their family houses on the same land where Richard's brother actually farms it for a living! 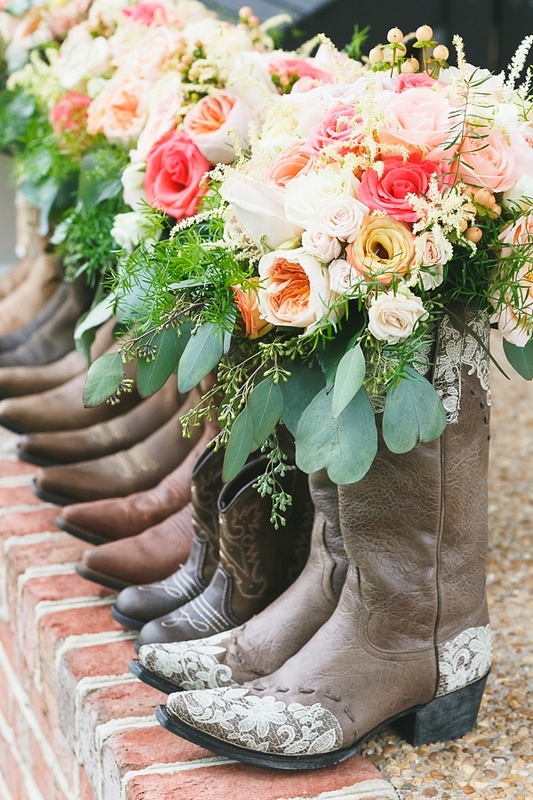 This couple really does live the "country chic" life through and through, and their wedding conveyed their personal style in an authentic and fun way. 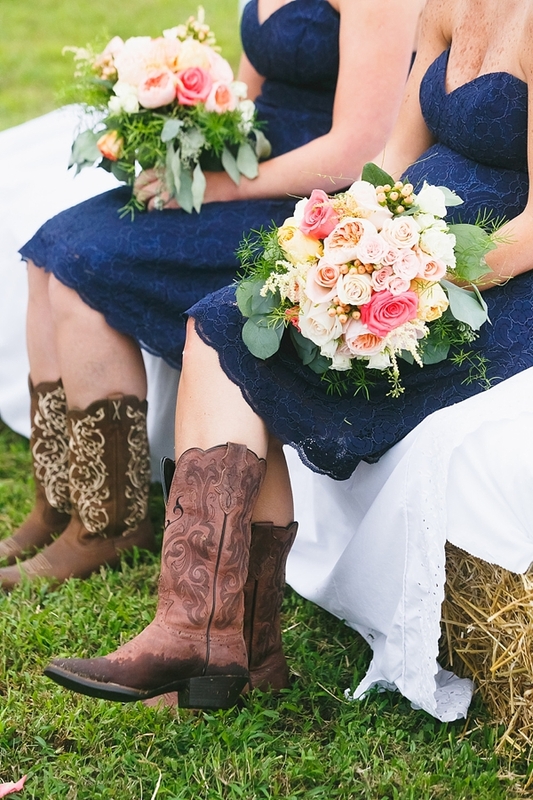 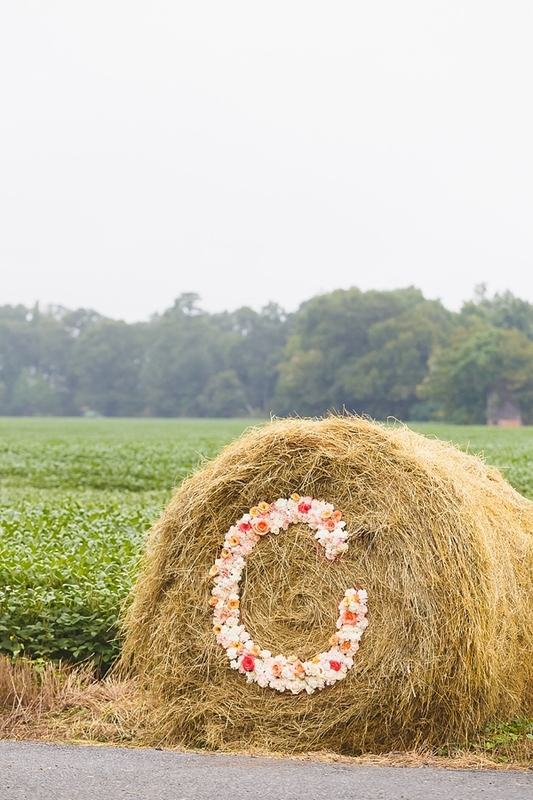 With florally-monogrammed hay bales, cowgirl boots, a gorgeous riverfront ceremony view, navy blue bridesmaids dresses and accents, and even a little tractor photobomb, Kimberly and Richard made memories that will last generations to come.